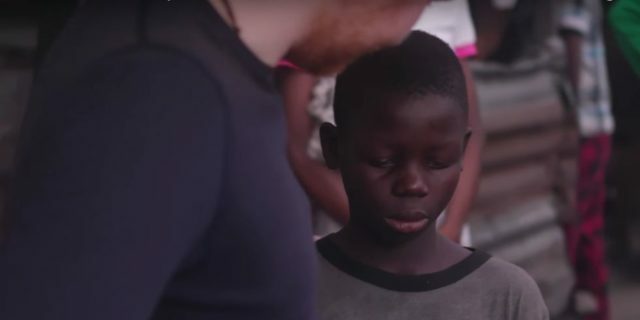 In a visit to Liberia, pop-artist Ed Sheeran raises awareness for impoverished children. 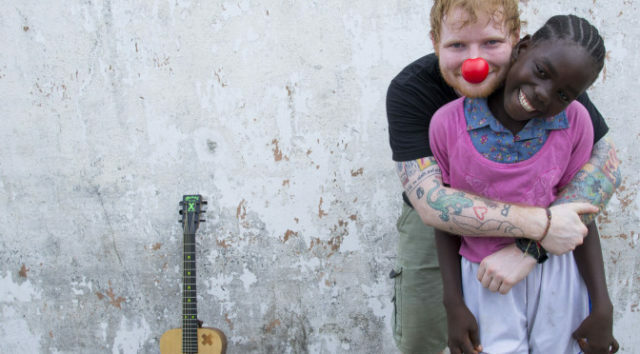 In a visit to Liberia, British pop sensation Ed Sheeran agreed to film a Red Nose Day ad to raise awareness and money for impoverished African children. You’ve seen ads like these; they’re meant to tug on your heart strings by revealing the sad story of one child–a story that is repeated in the lives of many other children. But God had a different plan for this particular project. Halfway through the film, there is a noticeable shift in Ed Sheeran. God begins to stir inside of him, blessing him with a fresh perspective. What if God is calling me to do something for these kids? Watch the video to witness Ed’s powerful transition from talking about what he wishes he could do to what he will do. It will leave you speechless. Sheeran gingerly walks across a Liberian tropical beach with the sound of waves crashing in the background. He steps over the pile of trash, moves past men smoking, and finds small, vulnerable children sleeping in crevasses. Imagine a young child going from a two-parent, middle-class household to living on the street as an orphan outcast–all in the matter of a few weeks. Now imagine that this all happens in the context of war-torn, disease-laden, crime-ridden Liberia. It is mind-boggling and tragic to even the most resilient and optimistic among us. In the video, Ed Sheeran emphasizes that these impoverished children are no different than children in America, who run the streets kicking soccer balls and dancing to music during the day. But at night, instead of being tucked into a warm, cozy bed, these children sleep in a boat in the middle of Liberia’s slum beach. Go for it, Ed! With God on your side, anything is possible! Ed’s donation took care of five boys, including JD. But as Ed points out, there are still millions of children across African in the same desperate situation. He encourages the audience to donate via www.rednoseday.com. Although Sheeran doesn’t tend to discuss his faith publicly, some of his song lyrics have Christian undertones. No matter what he believes, in his latest act of kindness toward JD and his friends, it is clear that God gave Ed His eyes; he exhibited unshakeable compassion and love toward these children. Jesus didn’t just have compassion for Christians; He ministered to anyone and everyone, taking care of unique spiritual and material needs. That’s right–He didn’t just bless people spiritually and leave them in their misery; He understood that material poverty can lead to spiritual poverty. As Christ-followers, we are called to do just what Ed Sheeran did and what Jesus does every day… to care for others–spiritually and materially.